Three final tips about moving to Belize: know where you’d like to live, be adaptable, and be a good neighbor. Belize is blessed with a long seafront, but not all of it is covered with white sand. Do not go to Punta Gorda, for example, if you picture yourself wading into the surf wearing a bikini and a snorkel. But in other areas, especially San Pedro on Ambergris Caye, you can do both. Inland you have the jungle, crisscrossed with rivers. You have rainforest. You have pine woods areas. You have the mountains. In a country with so many extraordinary natural resources—to say nothing of the ancient Maya sites scattered everywhere, and probably many undiscovered ones—how do you decide where to visit? Tourist guidebooks are a start. So is the Internet, but since the information you can find there can be out of date or unreliable, join the Belize Forum at www.belizeforum.com. Ambergris Caye has its own forum. There are also several people, most of them American or British expatriates now living in Belize, who blog. 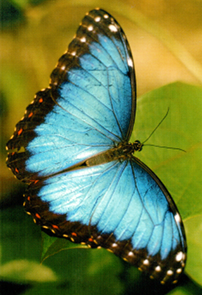 You will probably find the Belize Forum particularly helpful because members—many of them old hands—are eager to help. And if their information is incorrect or out of date, somebody is sure to correct them. Decide on a few specific places and then make plans to visit them. Stay at each place on your list for at least three or four days. You will probably find that renting a car is the easiest way to get around from town to town, but gas is expensive. Everywhere you visit—or even before you visit—make sure you understand the currency exchange rate and what services the banks in your area offer. Find out about taxes. If you plan to move your entire family, find out about schools. Doctors, dentists, and hospitals tend to be available only in the larger towns, although there are exceptions. Dairy products are in short supply in some areas of Belize—does that matter to you? The current recession has hurt Belize—fewer tourists. But the farther south you go, and the farther inland, the more expensive it gets to live there, unless you plan to grow your own fruits and vegetables and raise your own food. In that case you need to know about insets that attack fruits and vegetables, that there are killer bees in Belize (in case you plan to make your own honey), and that a variety of parasitic animals (vampire bats) and insects (several different kinds) can make life miserable for cattle and dairy goats in certain areas. Adaptability is one personality trait that you seriously need if you’re committed to moving to Belize. As I mentioned in my previous post, local customs may be seriously at odds with your personal sense of right and wrong. Can you adapt to them? People often move to Belize and think they can buy the same food they ate in the States—one Forum member only ate frozen chicken pot pies, and the price was exorbitant. If you’re on a budget, be prepared to eat like a Belizean—rice and beans. And when Belizeans eat a chicken, there are very few parts of it they don’t eat. 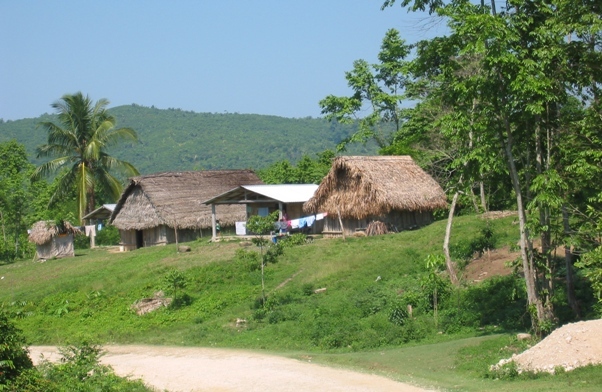 Belizeans tend to be a social bunch, particularly the Kriols. They’re easy to be around, helpful, and generous to strangers. Once you decide what community you plan to join, get to know them. Tell them you intend to come back—some of them will probably be your neighbors. Ask them the same questions you asked on the Forum about schools, banks, medical services, even shopping areas. Remember: “Do unto others as you would have them do unto you.” Now is a good time to put that premise into practice. Also keep in mind that you may find you aren’t cut out for the expatriate life, and you don’t want to live in Belize at all—that you’d rather visit. I know several people—gringos, Canadians, Brits, people from Europe—who have successfully made the move. But I also know a woman who meticulously planned her move, yet stayed there less than six months. I know about an entire family (you can find references to the blog on the Forum) that moved back to the States because they had grown disenchanted with some of the very things they had initially found charming. Spontaneity can be a good thing, but not when it comes to relocating in a country that’s very different from anything in the States—different laws, different cultural groups, different customs. Come and visit Belize first. Then decide whether or not you want to live there.